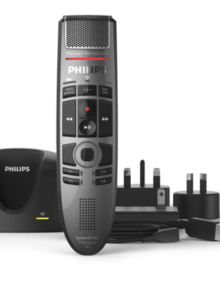 Categories: Recording Equipment, Philips Speechmikes. 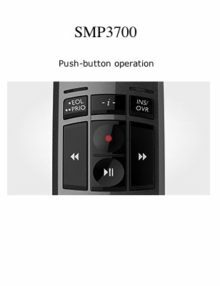 The ergonomic and wear-free slide switch is designed for efficient single-handed operation without having to look down at the device. 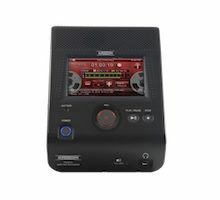 It allows for quick and easy file operation (play, pause, stop, fast forward, fast rewind). 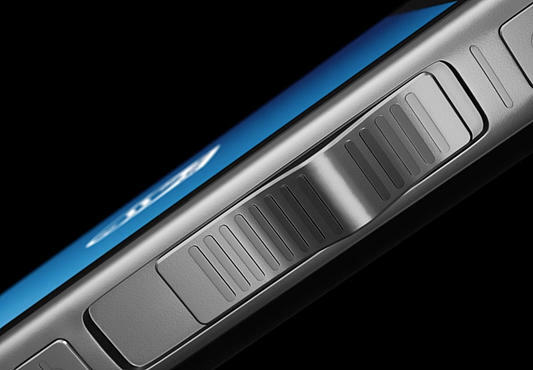 A customizable function key above the slider gives quick access to the app. The included superior docking station automatically transfers all your recordings to your computer and quickly re-charges your device. The LAN connection allows you to transfer your files directly from the station without having to use a computer. The dock comes with a Kensington lock. This anti theft system guarantees a peace of mind when leaving the dock unattended in offices. 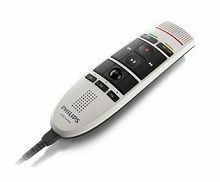 The integrated recorder app comes with professional dictation features such as editing modes, priority, EOL flag, enhanced data and dictation list as well as sending options (to network folder, Philips SpeechLive services or email recipients). The Dictation Mode enables you to use your device for dictation only. Functions and keys irrelevant for dictating are disabled allowing you to focus on your core task. 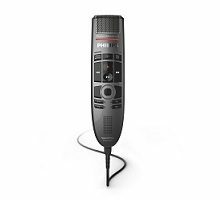 The power saving feature enables you to save battery power by setting a time interval for your SpeechAir to automatically turn off when you are not using it. The Hardware SDK allows you to integrate your device into your own workflow solution, for example connect your SpeechAir to your hospital information system (HIS) to access patient data directly. Remotely configure the device in real time and lock the settings for advanced security. Optional remote administration using Philips Remote Device Management software allows IT administrators to manage, configure and update dictation hardware centrally, saving valuable time and resources. 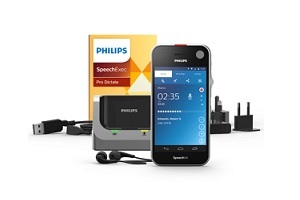 For an even more efficient dictation workflow you can take advantage of the Philips SpeechExec Pro Dictate workflow software (PSP1200) or use the optional cloud workflow services by signing up on Philips SpeechLive. These services include online speech recognition and transcription, by trained professionals. 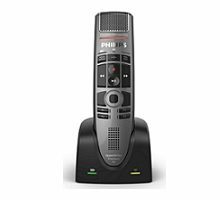 The software development kit (SDK) allows you to customize your existing app to use the different microphones, speakers, slide switch, smart button, microphone sensitivity and LED.